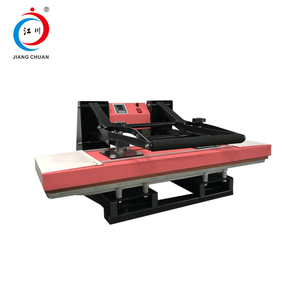 We can design and produce as customers's idea and specifical requirements. 3. Why do you quote maryland flag lanyard online with a large gap between actual quote9 The Internet price is only a reference price. So the price online is just reference price, not as the final transaction price, Specific price will be subject to actual requirements. 2. Could you offer rush lanyard order 9 Off course, if we have stock color, we can finish them within 24-48 hours and send them to you by DHL or other express. 3. Could you send some samples to me 9 Are samples Free 9 Yes, the samples with our logo are all Free, you only need to pay the shipping cost. 5. Could your offer the certifications 9 Yes, we can offer SGS, CE or others after orders. 4.When can you produce the sample9 After we receive the payment. 24-hour service If you have any questions, please let me know, I will reply you in time. Loading and delivery Please let me know your request, then we will let you received in time. 3) Attachments: Different attachments are available. Our Values: 1:Take First-Class Quality as Target and First-class Service. 3:Customer in Heart, Quality in Hand, Technology in the Lead. transfer color polyester ribbon dye sublimation lanyard Material 1. Polyester 2. Can change to nylon, bamboo, PET, etc. ,), By Air or by Sea. It's up to you. 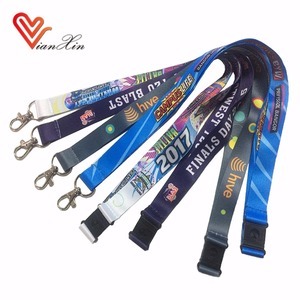 Alibaba.com offers 3,857 dye sublimation lanyard products. About 86% of these are lanyard, 1% are usb flash drives. A wide variety of dye sublimation lanyard options are available to you, such as free samples, paid samples. There are 3,768 dye sublimation lanyard suppliers, mainly located in Asia. 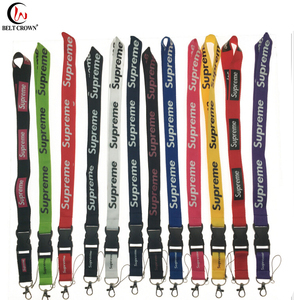 The top supplying countries are China (Mainland), Taiwan, and India, which supply 98%, 1%, and 1% of dye sublimation lanyard respectively. Dye sublimation lanyard products are most popular in North America, Western Europe, and Eastern Europe. You can ensure product safety by selecting from certified suppliers, including 766 with Other, 440 with BSCI, and 240 with ISO9001 certification.